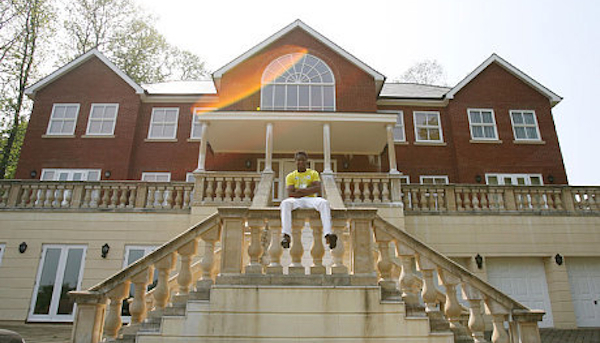 Chelsea footballer Jon Obi Mikel’s mansion. But if you have football-mad children, a place like that may be a little out of budget. So, how do you create a room that has the same effect? 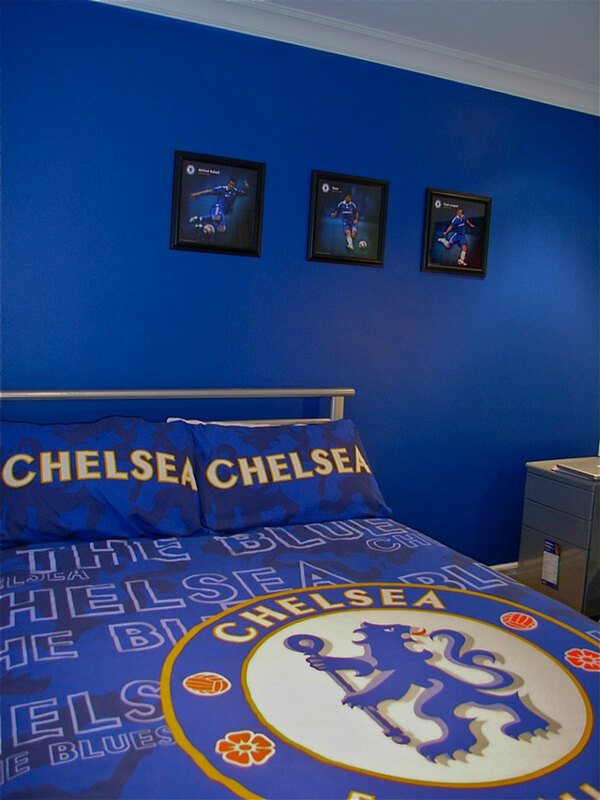 Here are some inspiring designs to show how it’s possible to bring football into your child’s room. After Anglian Home Improvements began to look at the homes of NCFC players in their #CanaryCribz series (video below), we thought we’d look at ways to bring that football feeling home. 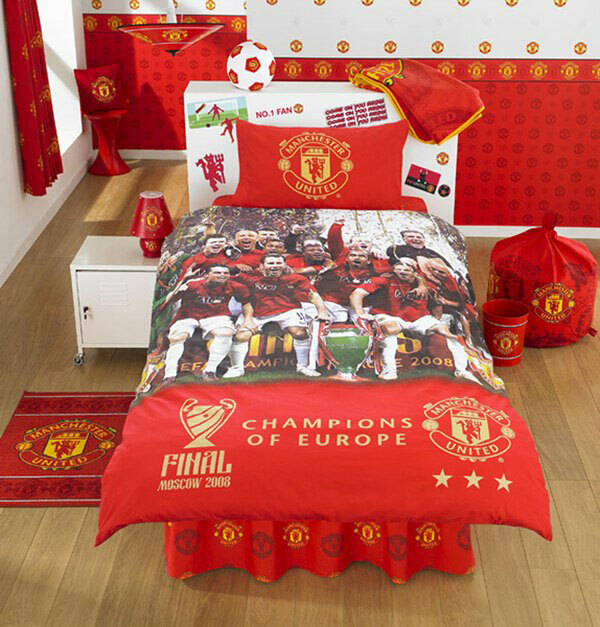 If you didn’t want to make your kid’s bedroom too team-focused, a subtle football theme could be the best option for you. Notice the small touches below. While they may suggest a certain team, it isn’t too obvious. Can you guess which team it is? 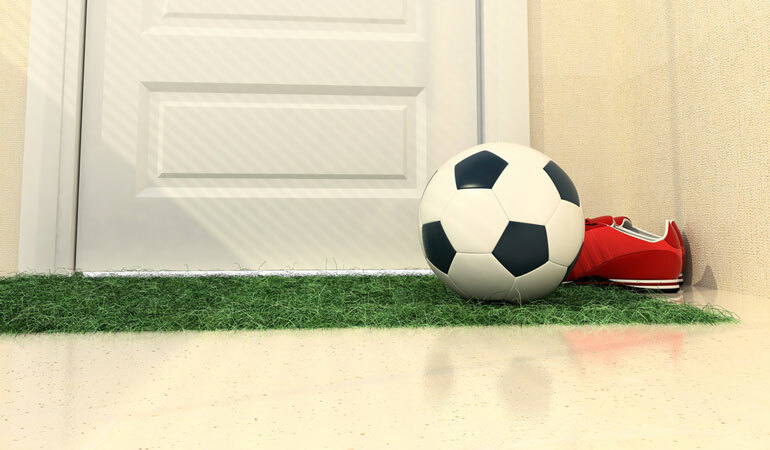 If you don’t want your kid’s room to differ too much from the rest of your home, use wall decals and some tactical colours to give a subtle football vibe. 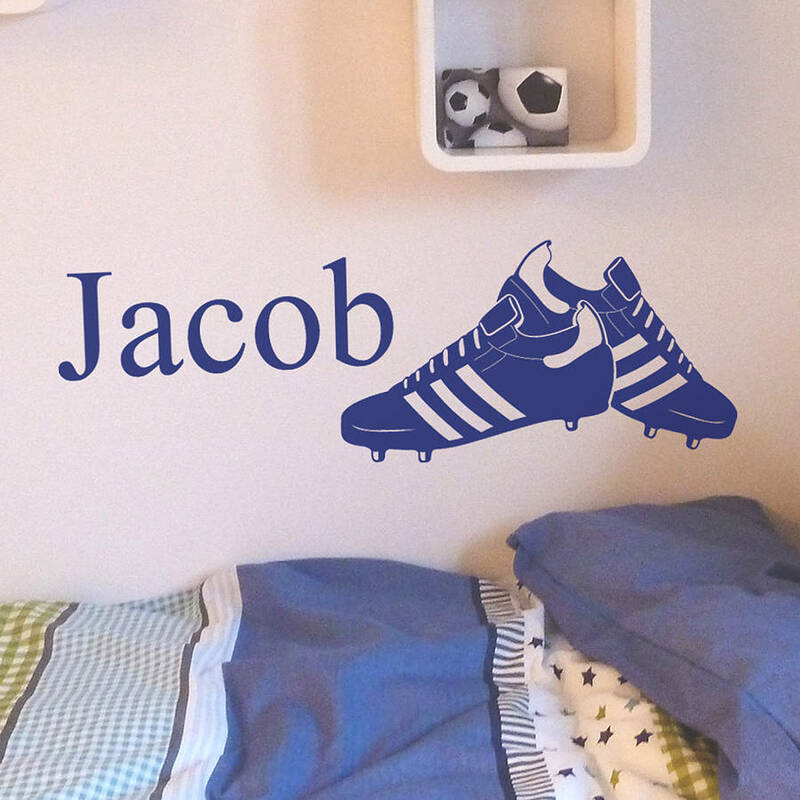 There are a tonne of different wall decals around the web, such as this personalised version from notonthehighstreet.com. There’s supporting a team, and there’s playing the game. This room focuses on the latter, with a scaled-down pitch, goal space, and a giant football that is more deflated than England’s hopes of ever winning an international tournament again, or, as some like to call them, a bean bag. Mini goals can be bought in different sizes for fairly little. If the room is big enough to accommodate, go for it! Know any other ways to bring a football vibe into a room? We’d love to see your attempts!